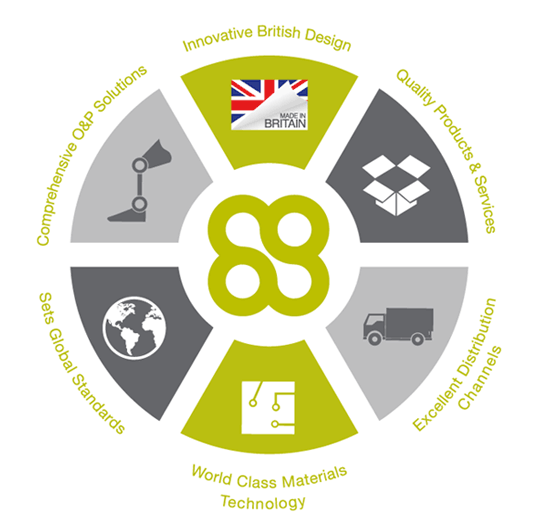 aortha® supplies and manufactures the widest range of Orthotics and Prosthetics materials, workshop equipment and machinery in the world; due to our in-house manufacturing capabilities; we can provide bespoke products to customers and distributors. aortha makes sure that all materials are of very high quality and are designed/ tested with Orthotics and Prosthetics professionals in mind, the comprehensive range of quality products are simple to use and are very user friendly. With our own in-house cutting, splitting, laminating, printing and sewing machines on-site, aortha is able to manufacture and convert materials to almost any specification. The aortha range includes a huge variety of EVA Sheets, Thermoplastics, CAD-CAM Materials, Leathers, Carbon Composites, Transfer paper for AFOs, Lower Limb Orthotic Joint Components, Workshop Equipment, Machinery and so much more. All aortha materials are now available in a comprehensive range of specifications, sizes and colours, are cost effective, and offer superior consistent quality.